Loosely based on the mythology of the star constellation known as the Pleiades (‘The Seven Sisters’), Riley’s bestselling books bring the sisters into the modern world. Lucinda Riley is the top ten Sunday Times bestselling author of The Angel Tree, The Italian Girl and Hothouse Flower (also called The Orchid House). Her Seven Sisters series is inspired by the Greek myth of the Pleiades, the seven daughters of Atlas and Pleione, who were said to have been turned into the star constellation of the same name. The series follows seven sisters, and begins as their adoptive father - the elusive billionaire they call Pa Salt - dies, they are each given a tantalising clue as to their past. Each book is the story of one of the sisters as they trace their origins all over the world in spellbinding tales of love and loss. 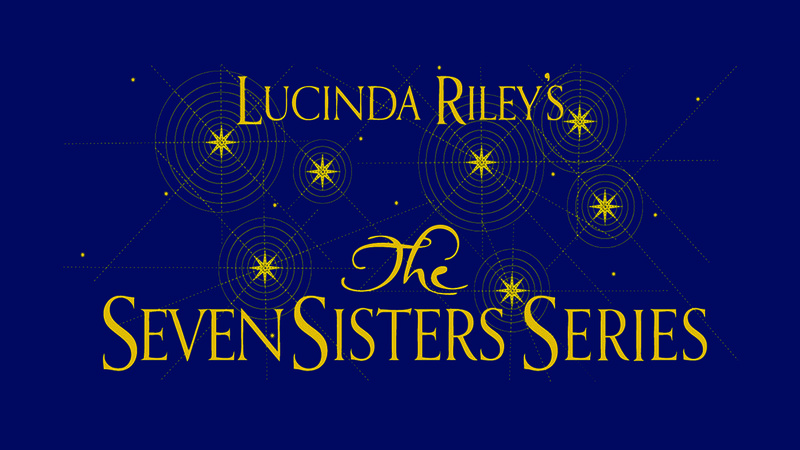 Here, Lucinda Riley gives us an insight into writing the fifth book in the series, The Moon Sister. In The Moon Sister, we get to know Tiggy D’Aplièse, the fifth sister in the Seven Sisters series. After the death of her father, Tiggy withdraws to the remote wilds of Scotland. There she takes a job doing what she loves; caring for animals on the vast and isolated Kinnaird estate, employed by the enigmatic and troubled Laird, Charlie Kinnaird. Writing Tiggy’s story was a very different experience, because of all the sisters, she is the most like myself: she is sensitive, very spiritual, and always wants to see the best in people. It is only when she meets Chilly, an ancient gypsy who has lived for years on the estate, that she begins to trust in the sixth sense that she has always known she has. He tells her that it was foretold long ago that he would be the one to send her back home to Granada in Spain . . . Doing research in Sacromonte and discovering the secrets of the gypsy brujas – medicine women – was a gift, and I am excited for my readers to discover more about a wonderful culture. While Tiggy struggles to embrace her own talent for healing under the tutelage of a bruja, she is also drawn back to the Kinnaird estate, and Charlie . . . The Moon Sister, more so than any other book in the series, delves deeper into the mystery of Pa Salt and the heart of Atlantis, the sisters’ childhood home on Lake Geneva. The mysterious Zed Eszu also returns and Tiggy is faced with life and death decisions . . . The first book in the series is The Seven Sisters; followed by The Storm Sister which has been nominated for the prestigious Premio Bancarella literary prize in Italy, The Shadow Sister, The Pearl Sister and The Moon Sister, which is the latest release, with more books to follow. Each of them is handed a tantalising clue to their true heritage – a clue which takes Maia across the world to a crumbling mansion in Rio de Janeiro in Brazil. Once there, she begins to put together the pieces of where her story began. Ally D’Aplièse is about to compete in one of the world’s most perilous yacht races, when she hears the news of her adoptive father’s sudden, mysterious death. Ally decides to head out on the open seas and follow the trail that her father left her, which leads her to the icy beauty of Norway. The third spellbinding story in the Seven Sisters series is the story of Star D’Aplièse who follows Pa Salt’s first clue to an antiquarian bookshop in London, and discovers the incredible story of headstrong and independent Flora MacNichol a hundred years earlier. CeCe D’Aplièse has never felt she fitted in anywhere. Following the death of her father, the elusive billionaire Pa Salt, she finds herself at breaking point. Dropping out of art college, CeCe watches as Star, her beloved sister, distances herself to follow her new love, leaving her completely alone. In desperation, she decides to flee England and discover her past; the only clues she has are a black-and-white photograph and the name of a woman pioneer who lived in Australia over one hundred years ago . . .
After the death of her father Tiggy D’Aplièse , trusting her instincts, moves to the remote wilds of Scotland. There she takes a job doing what she loves; caring for animals on the vast and isolated Kinnaird estate, employed by the enigmatic and troubled Laird, Charlie Kinnaird.